You Don’t Want to Miss This! I have some exciting news to share, and I don’t want you to miss out on this amazing kit! Stampin’ Up! turned creative control of the April Paper Pumpkin kit over to CEO, Sara Douglass, and we’ve heard the final result is going to be stunning! Her style is, “bold, vibrant, and artistic—with a little bit of sass,” which is exactly how she described the kit. Sara designed this kit for our customers, so you can discover creativity through the eyes of our CEO while having an experience that is uniquely YOU! Get ready to embrace your inner artist and skip to the fun of Paper Pumpkin with Sara. As if a kit designed by Sara is not reason enough to sign up, there’s more! She’s including a FREE gift inside every April box! You don’t want to miss this special edition, so be sure to sign up BEFORE April 10, here. The convenience of an all-inclusive kit arriving at your door every month. Exclusive photopolymer stamp sets and the opportunity to build a collection. Crafting time you can count on without a lot of prep work. Creating alternate projects with all the goodies in the box. Purchasing past kits and refills so the fun never ends. The quality of the products and variety of projects each month. Sharing ideas with a community of online crafters. Special recognizable Paper Pumpkin packaging; a true leader in the marketplace! Step-by-step instructions for completing each month’s projects! Step-by-step video available online each month so you can see how each month’s project is assembled! Quality product and coordination of supplies! Exclusive photopolymer stamp set each month to add to my stamping supply collection! Variety of card-making projects with a few 3-D projects mixed in here and there! Even though I haven’t seen what’s inside the April Paper Pumpkin box, I am familiar with Sara’s style, so I know I’m going to love April’s kit! Don’t miss out! Contact me today to sign up, or click here for more details and to subscribe. Interested in learning more about Stampin’ Up! CEO Sara Douglass, you can follow her on Facebook here. If you’ve never subscribed to Paper Pumpkin before, you definitely want to sign up now and give it a try with the April kit! Don’t miss out! This entry was posted in Paper Pumpkin, Promotions, Stampin' Up! and tagged inspiration, Paper Pumpkin, Papercrafting, Stampin' Up!. Bookmark the permalink. Welcome to my Beyond Beaches & Blessings blog,. I LOVE to use my creativity to bring joy, smiles and inspiration to others. The content in this blog is the sole responsibility of Lynn Tague as an Independent Stampin' Up! Demonstrator. The use of and content of the classes, services, or products offered on this blog is not endorsed by Stampin' Up! 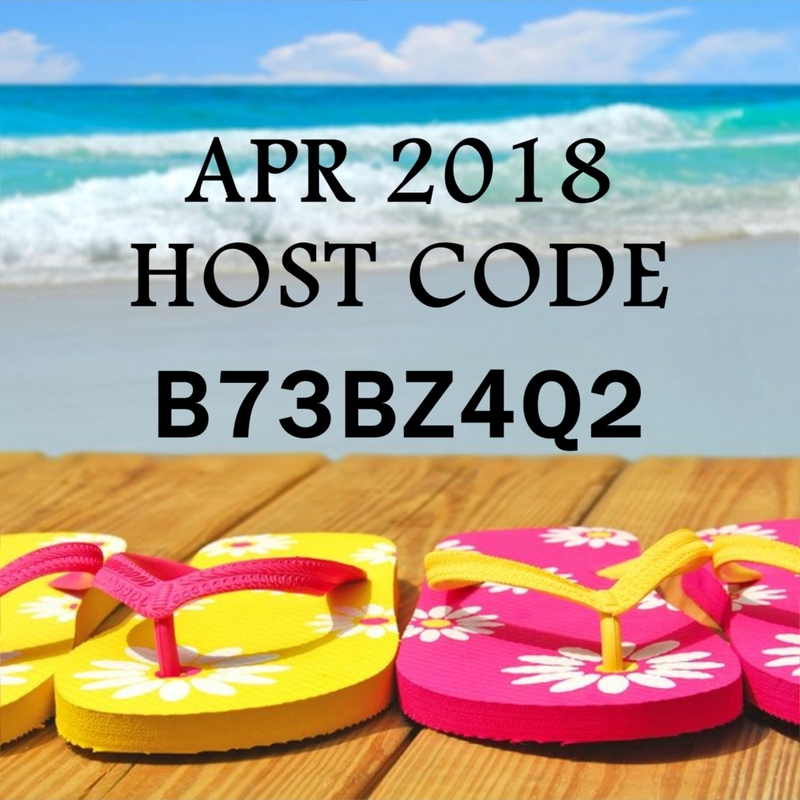 When placing an order under $150 make sure to use the Monthly Host Code above to receive a FREE gift from me as my Thank You to you for placing your order with me. Don’t worry, if your order is over $150, you’ll receive a FREE thank you gift from me, too!